Made from buoyant EVA foam to ensure your keys stay afloat in the water. 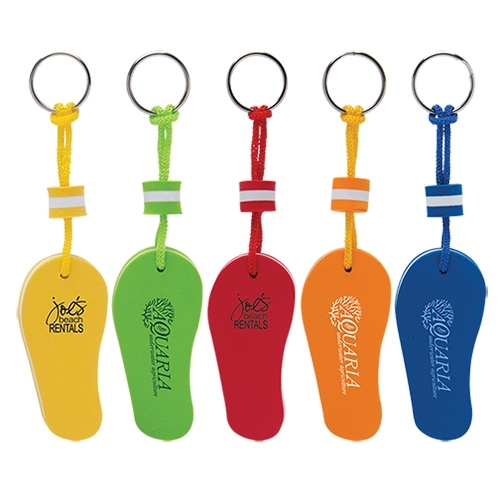 These bright colors make locating your keys a breeze. Perfect for water related promotions such as marinas, lake front businesses, aquariums, etc. 3" x 1 3/8" x 1/2"
Horizontal: 1 5/8" x 1/2"